The music pumped hard. The people pumped harder. 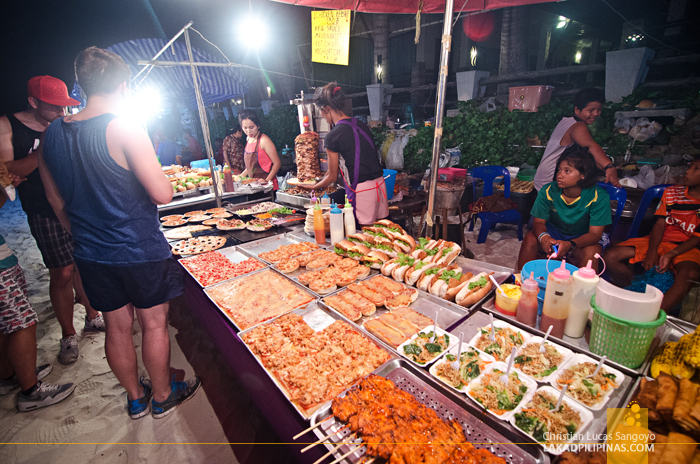 From an elevated concrete platform right by the edge of Haad Rin Beach, we danced along with the sea of backpackers below; cheap Chang beers in hand, voices hoarse from singing and screaming. Drunk we were. And drunker we would be. 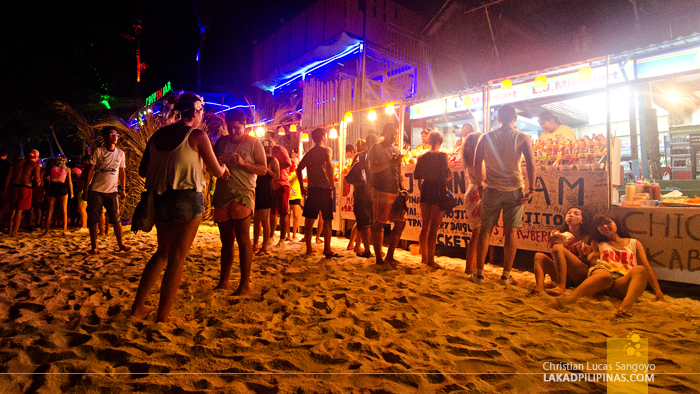 Welcome to Koh Phangan’s Full Moon Party, prepare for a night of drunken debauchery. 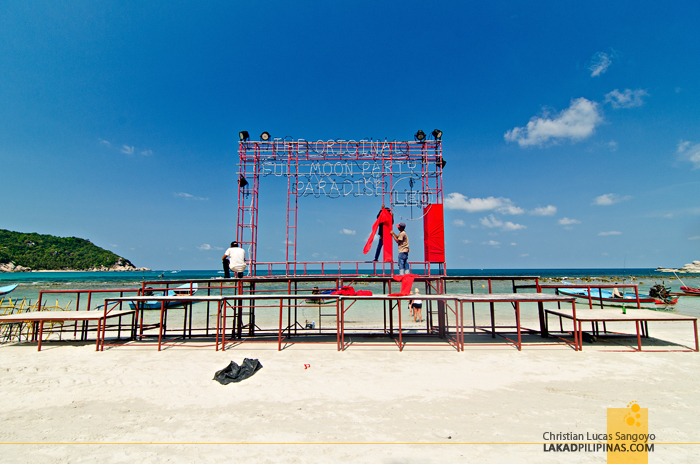 Some hours before the party, Haad Rin Beach looked very different. Heck, I could even describe it as beautiful. 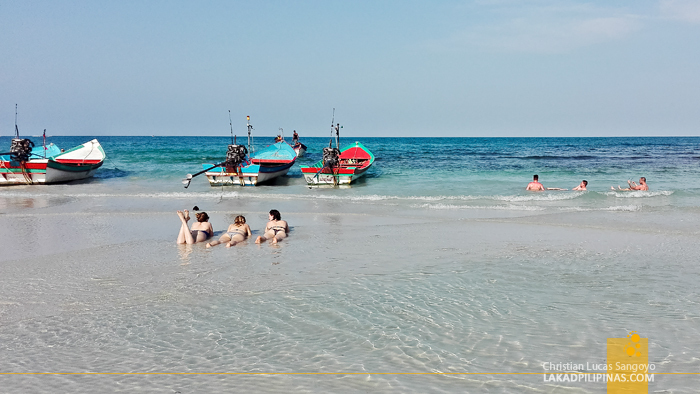 Without the 10-people-per-square-meter crowd, the beach is indeed one of the nicer ones I’ve seen in Thailand; soft creamy sand, clear azure waters, and even a rocky photographer landscape on its southern end. 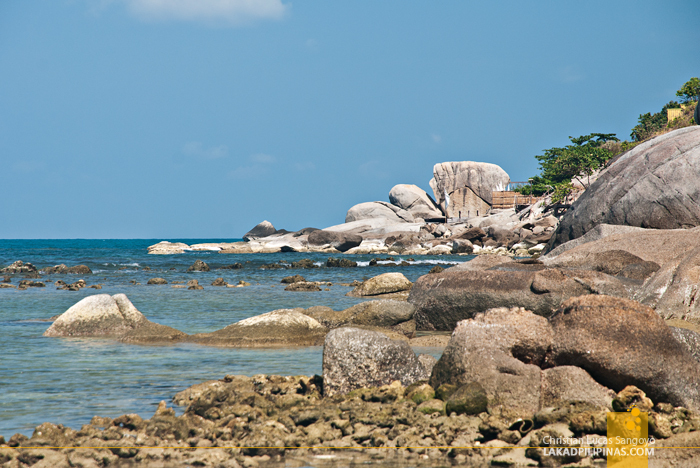 I can even imagine how lovelier it must have been before backpackers found this place and made the whole Koh Phangan their own playground. 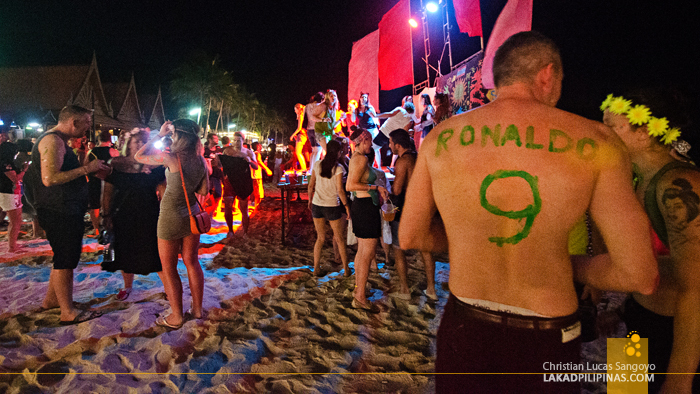 Undoubtedly, the island must have already been popular with travelers even before the whole Full Moon Party shebang exploded like wildfire into Thailand. And this particular beach, Haad Rin, on this specific island, was the ground zero for this infamy. 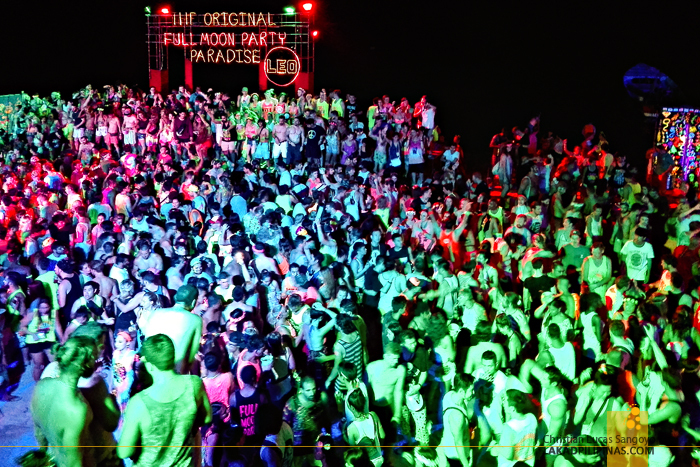 The Full Moon Party started out in 1983 as a sort of a farewell thank you to a handful of travelers staying at Paradise Bungalows at Haad Rin Beach. Back then, there was still no electricity on the island and they said that the moon was peculiarly beautiful from that beach. 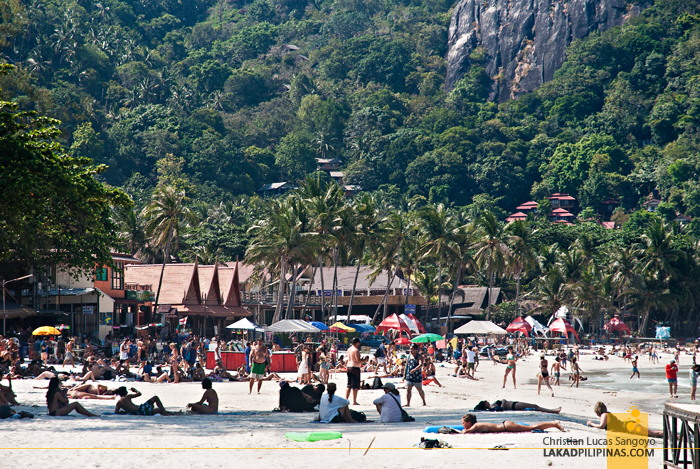 Fast forward some decades later and those twenty travelers has now been transformed to 20,000 backpackers; drunk, some on drugs, all having the time of their lives as they moved to the grooves of the different party stages along the beach. And the party doesn’t stop after sunrise. 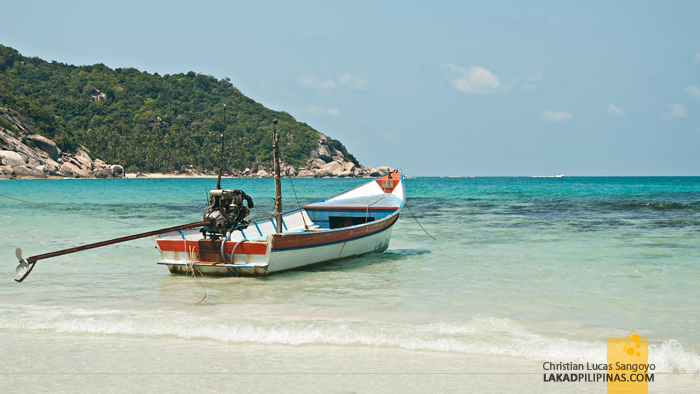 Now, there are even Half Moon, Quarter Moon and even Jungle Parties throughout Koh Phangan and the rest of Thailand. Any excuse to party, they do it. 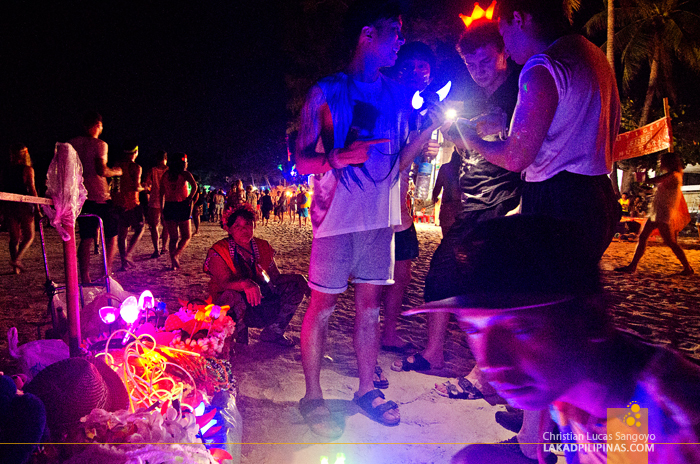 The Full Moon Party starts right after twilight and ends as the sun rises. We knew we’d be in for a full night of partying so we readied ourselves by sleeping, lol. 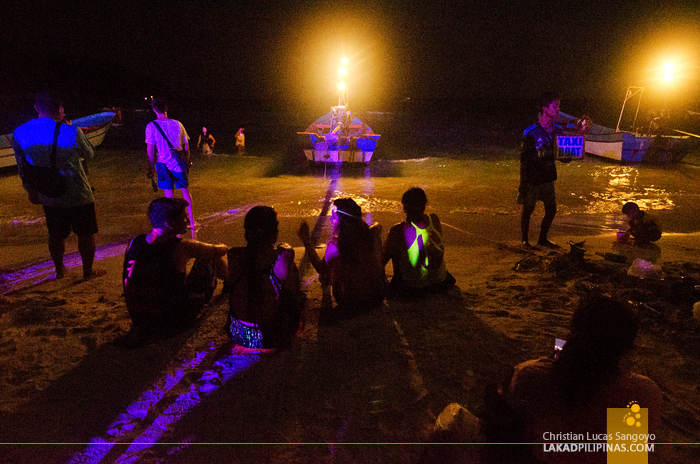 We wanted to last ‘til sunrise! So, after lazily lounging around the beach, swimming, drinking a few bottles of beer and watching them beautiful ladies strip to their soul, we went to bed early at Funny Moon Hostel [CHECK RATES & AVAILABILITY], a cheap alternative to the expensive resorts right by Haad Rin, and woke at around nine in the evening. We watched as backpackers, donning glow-in-the-dark face paints, pass en route to the beach as we sipped our coffee to jolt us awake. And after plates of fried rice and pad thai, we bought our Changs from the nearby convenience store and trooped to the beach ourselves. It was a tad too early, we soon later found out. The party has indeed started, but the throngs of travelers were still probably abed, waiting until midnight to come out and play. We took the time to leisurely survey the playing field, going all the way from the southern portion of the beach to its northern end. 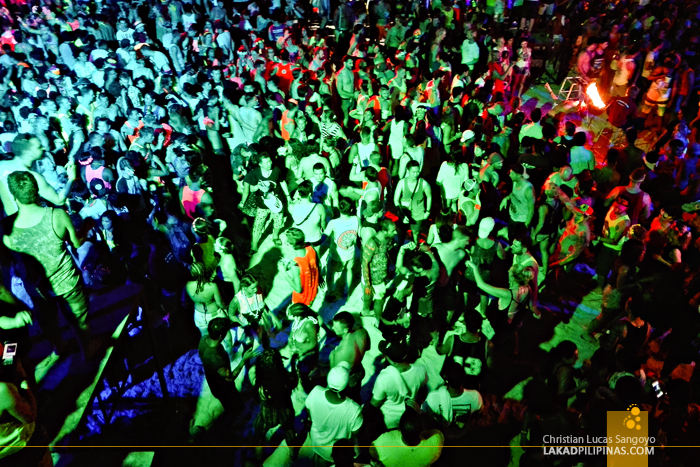 When the crowd started to thicken, we locked our cameras back in our hostel—we don’t want alcohol-drenched DSLR’s spoiling our party—and bought another round of beer. 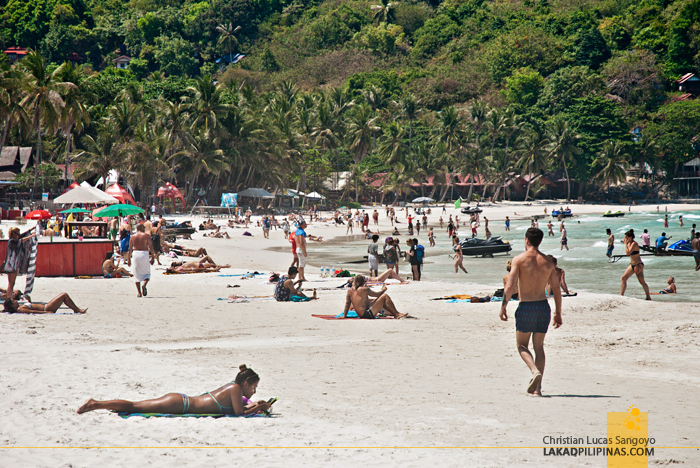 The noise was deafening as we returned to Haad Rin Beach. The crowd had quadrupled! We climbed and found our spot on one of the concrete resort markers, wanting to have a higher view of the crowd. 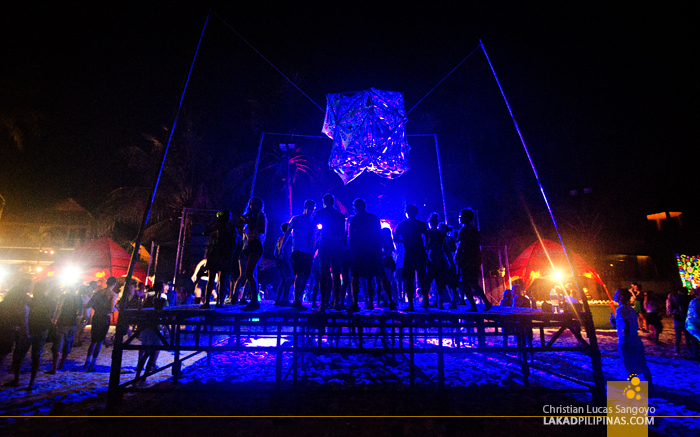 Eventually it became our very own dancing stage. Smashed, both by alcohol and adrenaline, we stripped off all our inhibitions and danced like we have never danced before (and I don’t even dance), we were the stars this side of the Full Moon Party. Everyone was taking our picture (and we’re probably on a lot of Instagram feed the next day, but I dared not look it up for fear of looking extremely stupid, lol) and climbing on to our platform to dance along with us. It didn’t take long before our beer stash ran out. 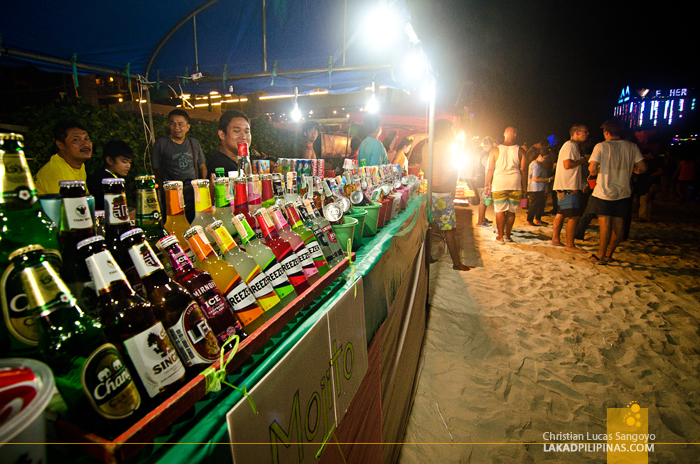 Getting another fresh batch was a challenge as the beach had totally filled with party-goers. We snaked and edged along the crowd, finding a lot of smooching and what-nots going on right by the shore and farther out on the water. 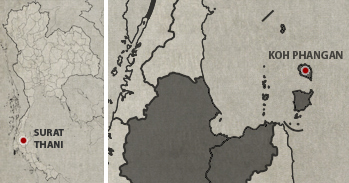 If there was a place to lose one’s self, this is probably it. 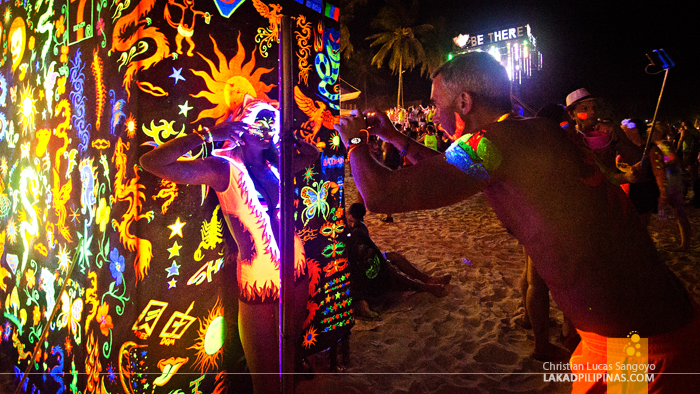 It can be said that what happens at Koh Phangan’s Full Moon Party, stays at the Full Moon Party. A promise that can easily be made, as most people who has been to this place probably doesn’t remember a thing after the sun rises on the horizon and they flop down on bed, totally wasted. 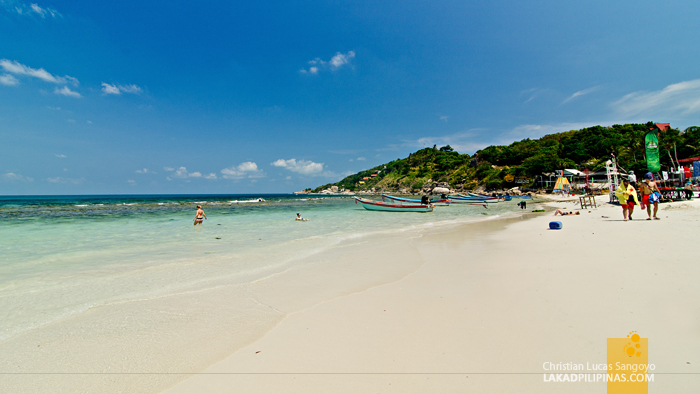 Or in the case of many others, the beach or wherever else sleep takes them. As for us, sleep overtook us, dazed and absolutely freakin’ confused at the bedbug-infested ferry—straight right after the party—en route to Krabi. Like the promise to never drink again after a particularly heavy night of drunken debauchery, the pledge to never attend a Full Moon Party again seemed almost exactly the same. You tell yourself that this is the last time you’d do it, but you do it again all the same.